• Energy Casino Review - A Huge Selection Of Games? The Casino Gorilla is not happy. His cleaner didn’t do a good job yesterday and he slipped on a banana peel. Now he’s thrown his back out and is stuck in bed. Fortunately, he can still use his laptop so when a new casino dropped into his inbox it cheered him up. Will Energy Casino take the thought of his bad back away, or will they add to his woes? A 100% deposit is always a good thing to hear. Double your money to increase your bankroll? Great news. Energy Casino offer a 100% matched bonus on your first deposit up to a value of £150. That’s certainly a nice bonus to receive but the wagering requirements are different to most other casinos. While it has a 25 times wagering requirement, it is for the mixed funds, i.e both the deposit and the bonus. So a deposit of £50 will receive a bonus of £50, then £100 will need to be wagered 25 times. This is different to most other casinos who just apply the wagering requirements to the bonus. There are no free spins of offer at Energy Casino. There are no need for bonus codes at Energy Casino. All you need to do is make your first deposit and you will receive your welcome bonus. The first bonus that Energy Casino have on offer is their reload bonus. This is activated upon your second deposit. It will give a 50% matched bet up to the value of £150. It does require a 30 times wagering requirement on the mixed funds however. So if you deposit £100 and receive a £50 bonus you will need to wager the full £150 30 times. There is also an energy chest promotion running at the moment. Points are earned by playing games and the higher level you reach, the more chests you can open. The rewards from each chest have a 35 times wagering requirement levied to them, although as they are earned bonuses there is no mixed funds requirement on this promotion. All bonuses are subject to the terms and conditions laid out by Energy Casino. Anyone breaking the terms will not be awarded the bonuses. NetEnt, Microgaming, Evolution Gaming and Play’n Go have all lend their services to Energy Casino. This means that there is a selection of some of the most famous and most reliable video slots available at Energy Casino. This shows by there being over 600 slot titles on offer to players, this is an incredible amount and includes a great variety. There are serious, licenced titles like Vikings alongside more fun slots like Strolling Staxx. This gives players a great choice. Dressing up to visit the casino is one of the most enjoyable things you can do in life. Experiencing the glitz and glamour. It’s not something you can do every night though. That’s why live casinos are the next best thing. They allow you to experience the casino atmosphere without having to leave your own home. Energy Casino have live casino games provided by both NetEnt and Evolution Gaming. This means that their games have the widest choice around. There is the usual standards like Blackjack and Baccarat, but this is also complemented by games like Dream Catcher and Football Studio. This makes the Energy Casino offering top class. Don’t miss out on that casino feeling. Just make your way to the live casino section at Energy Casino and you will be able to almost taste the atmosphere. Energy Casino provide an excellent mobile browser version of their site. There is an almost complete selection of their games on offer to players. This is the most important aspect, but they don’t stop there. The site itself loads up quickly and efficiently, it can be used both vertically and horizontally and the site is scaled well so nothing looks out of place. Currently the Energy Casino app is only available for Android devices, but this is not a huge deal to iPhone owners due to the overall high quality of the mobile browser version of the site. Energy Casino provide games created by the most reliable software providers in the iGaming industry. This does mean that they adhere to all safety protocols and fairness regulations. They hold a licence from the United Kingdom Gambling Commission which is one of the most stringent licences around, which is excellent for their safety rating. They also hold a licence from the Malta Gaming Authority. Energy Casino offer a large number of ways to get in touch with them if you have a problem. All support options are available between 09:00 – 00:00 CET during the week and between 13:00 – 21:00 CET at weekends. They have a live chat available to players which is integrated into the site. They also have a phone number on offer which is +44 203 608 6491 or +44 791 878 5604. Their support email is [email protected] and this is compounded by their postal address which is Suite 109, Level 4, Sir William Reid Street, Gzira, GRZ1033, Malta. If none of this works for you then you can also get in touch on the help page via an integrated mailing client. The United States, Australia, Belgium and Sweden are all restricted countries when it comes to playing at Energy Casino. There is a more complete list of restricted countries that can be found on the terms and conditions page of the Energy Casino Website. 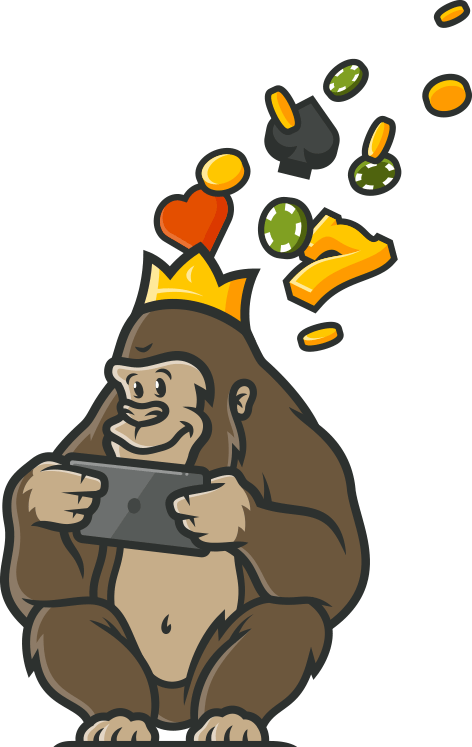 The Casino Gorilla certainly forgot about his bad back when he saw the huge choice of games that Energy Casino have available. He felt a slight twinge when he saw the wagering requirements, but the fantastic customer service that Energy Casino provide made sure that he felt looked after the whole time. 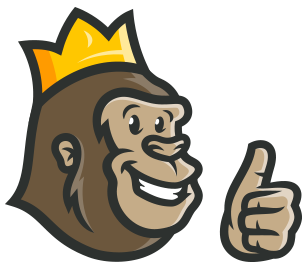 He may still be stuck in bed, but Energy Casino have put a smile back on the Casino Gorilla’s face.